February is the month of love. No matter if you give some of your love to another, you should definitely save some love for yourself. You can do that by showing your smile a little extra love this month. Use these tips to help get a healthier, whiter smile that is less likely to decay through the years! Why Does a Great Smile Matter? Some say that smiling is the universal sign of happiness. You be the judge. Studies show that it’s easier to smile than it is to frown, as it takes almost 3 times as many muscles to frown than it does to smile. Simply smiling throughout your day—even if you don’t feel like it—has been proven to boost a person’s mood and even those around them. The more you smile, the more you feel like doing it. 1/3rd of people notice a person’s smile before any other attribute. You want that smile to be something a person remembers. 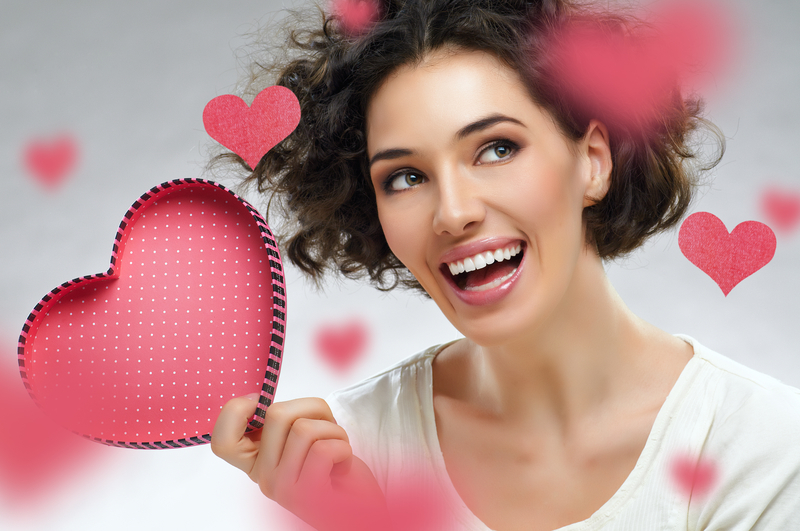 How can you “love” your smile more this month? Start by going back to the basics. These are what a dentist would tell you to do at your biannual appointment: brush and floss your teeth. There is actually a method to doing both of these, and following that method will keep your teeth healthy. Brushing only takes a few minutes of your day. Two minutes twice a day to be exact, according to recommendations by the American Dental Association. Make sure you use fluoride toothpaste that can help strengthen and protect your teeth as you brush. Use toothpaste that has the ADA’s Seal of Acceptance on the label, as this means the product has been found safe and effective for preventing tooth decay and oral health issues. Brush your teeth in circular motions, back and forth and all over to get every surface of your tooth. Brushing is one of the best ways you can love your teeth each day and one of the best ways (if not the best) to prevent oral health diseases. However, there is about 40% of tooth surfaces that brushing simply can’t reach. That is why we also tell patients to floss their teeth every single day. One is simply not complete without the other. Floss 1-2 times a day, making sure to use new floss each time. You need about 18 inches of floss so that every few teeth get a new section of floss. Never reuse floss so you don’t introduce old bacteria into your mouth that can lead to quicker tooth decay. Make sure to replace your toothbrush about every 3 months or when the bristles become frayed so that your brushing is actually effective. Still getting cavities? You may need some additional help to keep your mouth bacteria and plaque at bay. A great way to reduce the bacteria in your mouth is to use gentle mouthwash that can get rid of harmful bacteria. You need some bacteria in your mouth to help break down your food for digestion. However, the kind that helps produce plaque is not needed. Swishing mouthwash for 30 seconds 1-2 times a day can help reduce bacteria, which will reduce your risk of cavities. Plus, it will freshen your breath just in time for Valentine’s Day. Fluoride is a naturally-occurring mineral that is found in the earth’s crust. This mineral can be highly-effective in helping you avoid tooth decay and gum issues. 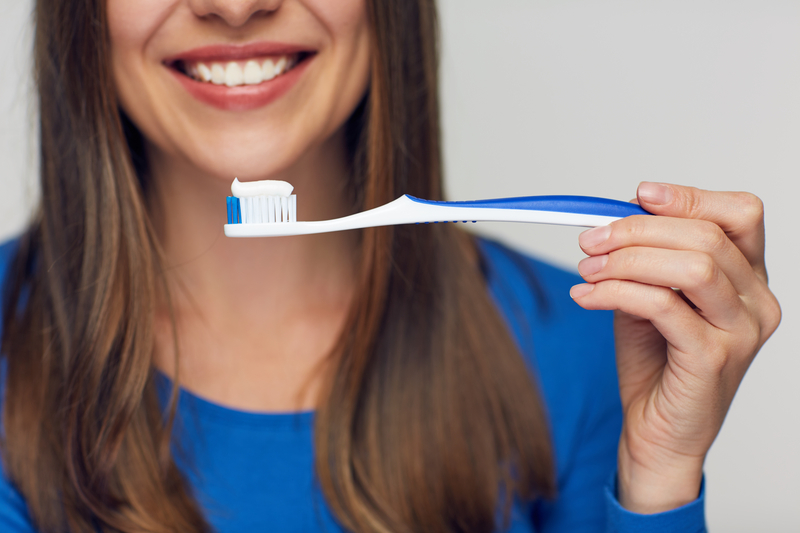 Choose toothpaste and other oral health products that have some fluoride in it. Instead of only drinking purified water that is stripped of minerals, consider also drinking safe public water, as fluoride is added to drinking water in the U.S. This will help coat your teeth with fluoride, which strengthens the minerals in your teeth while providing more of a shield against mouth bacteria and plaque. You may also want to take a look at your diet. 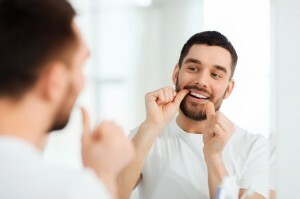 Are your teeth thinning or looking yellow or gray? The color of your teeth can change due to what you’re eating and drinking. This is especially true with coffee, teas and wines, which contain staining substances called tannins. Thin teeth can happen from plaque, but often come from acids in foods and drinks. Common acids are citric acid and carbonic acid. Citric acid is found in citrus fruits and is a preservative in many drinks, so check your food labels. Carbonic acid is found in any drink that is fizzy, as carbonation has carbonic acid that mixes with water to create the fizzy bubbles. Avoid both or at least use a straw when drinking to limit the tooth erosion you get. Then, when you do drink, make sure to wait at least 20-30 minutes before brushing so that active acids on your teeth don’t take off extra minerals. In the month of February and around other holidays, sugar is incredibly common. However, sugar is the food that mixes with mouth bacteria to make plaque, which causes your tooth decay. The more sugar you eat, the more plaque your mouth makes and the more you can have cavities. To love your smile more, limit your sugar to the recommended 6 grams for women and 9 grams for men each day. Children should have 6 grams or less each day and infants should have no sugar at all. Check your food labels to see what you are putting in your body that affects your overall health and oral health. Brush and floss daily, especially before going to sleep for the night. See the dentist for comprehensive exams and dental cleanings at least twice a year as recommended. Help children and infants with their brushing and flossing, and do it for them until they can themself. For more tips for loving your smile this month, call Dr. Evanson’s office at (720) 409-0008!